MAKE SURE TO WATCH THE FREE VIDEOS BECAUSE BETWEEN BOTH VIDEOS, A LOT OF QUESTIONS WILL BE ANSWERED. Can you explain the advanced battery charging technology that is used in the Tesla Chargers? Have these chargers actually restored unchargeable batteries to useable condition? Does it cost less to charge my batteries with a Tesla Charger? Where do the cost and energy savings show up? How do I use my charger to rejuvenate batteries? How would I use my charger to get the maximum longevity out of a new, high capacity, 12 Volt Lead-Acid Batteries? What kind of batteries can I charge with a charger from Tesla Chargers? Are these chargers hard to understand and use? How does the efficiency of the Tesla Chargers compare to other types of battery chargers? 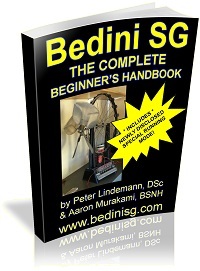 Tesla Chargers use a proprietary, computer controlled circuits invented by John Bedini to charge batteries for both models that have IMPULSE and linear current regulators. The systems are completely automatic. The computer actually tests the battery before each impulse is delivered, thereby ensuring that the electrical energy is delivered in the most efficient way possible. For the linear current regulator circuits, the battery is pushed to it’s full topping event and then shuts off. This allows batteries that are very weak, or un-chargeable by any other charger, to be charged with a Tesla Charger, and brought back to useful service. Tesla Chargers is proud to be able to offer you the most advanced battery charging systems available in the world today. As a side note, our impulse chargers are not the same as other company’s products who sell “pulse chargers” whereby they simply pulse the electricity to the battery. Our impulse technology is related to Tesla’s Method of Conversion, which is not used by any other battery charger or rejuvenator company in the world. Have these chargers actually restored un-chargeable batteries to useable condition? As long as the cells are not physically damaged or electrically shorted to other cells, our chargers can usually restore these batteries to useful service. Since the development of this technology, approximately 80% of the discarded or useless batteries we have tested have been able to be restored and put back to use. This “restoration process” is really nothing more than the charge process being done correctly, which other chargers do not do. When this happens, the internal chemistry of the battery moves closer and closer toward it’s ideal state. Repeated charge and discharge cycles further improves this process. In some cases, discarded batteries that were regularly charged with Tesla Chargers gained in capacity above that of a new, identical battery. There is, of course, no way to know exactly how much restoration (or capacity increase) can be expected with any given battery because older batteries differ in their quality of manufacture, as well as the conditions they were subjected to during charging and loading previously. Tesla Chargers makes no claims to be able to restore “dead batteries”. On the other hand, our testimonial pages are filled with stories of many, seemingly hopeless batteries being restored to useful service. Yes. In both electricity and battery costs over time. In the long term. With conventional battery chargers, battery capacity degrades slowly with each charge. In order to get the same amount of energy out of the battery, the common practice is to place the battery on the charger more frequently and/or for longer periods of time. Since the battery cannot retain the charge, this energy is being wasted. Our chargers reduce this energy waste by significantly improving the battery’s ability to store its charge. Consequently, the battery spends less time on the charger, consuming less energy, and giving you more of the power you need. The other big savings is the money you save by not having to replace your old batteries with new ones very often. These two energy saving methods make your Tesla Charger pay for itself quickly and allows you to keep all the rest of the money in your pocket. Just as it took time for your batteries to degenerate, restoring the proper chemical structure of the battery plates takes time. After several cycles of charging with our chargers, and then discharging at a slow rate, the plates will gradually be restored to their optimum condition. The most dramatic increases in capacity are usually seen within the first 10 cycles, typically, a gradual increase in capacity results from the continued use of our chargers. The best Tesla Charger for this application is the 25A12. In general, large lead-acid batteries should be charged back to a state of full charge immediately after each use. Of course, you have to choose a charging routine that is appropriate for your application. 2) does not allow the build-up of sulfation to occur. For maximum life, the battery should be used frequently, charged to a full state of charge after each use, and stored in a fully charged condition. When you charge your battery with the 25A12 charger and use it frequently, you should expect the longest possible life from your battery. For smaller capacity batteries, we recommend the 2A12 or 10A12. There is a Tesla Charger that is right for every kind of rechargeable battery that you currently own. Our Universal 1AU is the most versatile battery charger on the market today. It will recharge and restore any rechargeable battery from as small as a 1.2 Volt AAAs, AAs, Cs, Ds, 9v radio batteries, smaller 12 volt up to 24 volts 7ah batteries. The 1AU will charge Ni-cad, NiMH or Lead Acids – our chargers are NOT for the typical “Lithium Ion” batteries, which really means Lithium Cobalt batteries. We have some solar charge controllers that are for Lithium Iron Phosphate (LiFePO4) batteries. The 1AU is the best portable tool battery charger on the market as long as the batteries are either Ni-Cad or NiMH. Some people have started entire businesses revolving around the 1AU where they rejuvenate people’s worn out tool batteries from 12v or 18v. Our first and most popular model is the 2A12. It is designed to charge 12 Volt lead-acid batteries, from the small gel-cell type, to the automobile start type, to the Marine deep-cycle type. It may only be rated at 2 amps, but this little charger is a real work horse. The 10A12 and industrial model 25A12 are made for 12V lead acid batteries of high capacity. There is a new 10A8, which is for lead acid batteries. The 8 volte batteries are common in Europe. Our solar charge controllers are for 12 volt lead acid batteries, but we have a few smaller units intended for the newer LiFePO4 (Lithium Iron Phosphate) batteries…note that is NOT the same as the typical “Lithium Ions”, which are Lithium Cobalt batteries. No. These chargers are fully automatic and require little understanding to work. You simply must put the right charger on the right battery and that’s it. For your convenience, complete directions for use are printed right on the chargers. However, in order to get the best results and to learn how to operate them safely, users should read and understand the owner’s manuals. Typically, once a battery is connected and the charger it turned on, leave the charger/rejuvenators running until you see a green light come on and it is done for that cycle. If you’re rejuvenating batteries, it is good to draw the battery down after charge and recharge it right away. After several charge/discharge cycles, the battery capacity grows and grows. 2) the wide variety of chargers that are on the market today. Most manufacturers calculate the efficiency of their battery charger as the ratio of the power delivered to the battery from the charger vs. the power consumed by the charger. This measurement can be deceiving, especially if the battery is older and is not charging very well. It is also difficult to measure a battery charger’s efficiency when the battery is constantly degrading in capacity and spending more time on the charger and less time being used. For practicality, we are interested in a more honest, total efficiency measurement. We prefer to measure efficiency as the ratio of power delivered from the battery vs. the power consumed by the charger. This not only accounts for the efficiency of the battery charger, but also the efficiency of the battery during its charge and discharge cycles. In that sense, we measure the efficiency of our chargers, not only by how little energy they draw from the wall, but also by the efficiency of the batteries they charge! If you consider efficiency as total lifetime of amp-hours delivered by the battery vs. total kWh’s consumed by the charger, like we do, the battery that maintains its full capacity has the highest efficiency. When you add the significant savings because of lower battery replacement costs, you can see that the chargers sold by Tesla Chargers are the most efficient in the world. I was reviewing the Tesla Chargers and have read the FAQs where it is stated that “After several cycles of charging with our chargers, and then discharging at a slow rate, the plates will gradually be restored to their optimum condition.” What is considered “discharging at a slow rate” for a battery that is between 50AH and 120AH? I would also like to know if it is safe or maybe even optimal to always charge a battery to the “topping event” with a Tesla Charger? 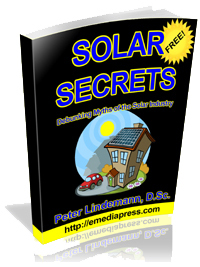 Based on Solar Secrets whenever there are enough sun hours on a system that is properly designed a Solar Tracker charges until the “topping event” is reached. If this is safe/optimal for solar deep cycle batteries is this also true for automotive or generator batteries? I would appreciate clarification of this, thanks. Lead acid batteries like these have amp hour ratings based on a 20 hour discharge rate. That means if a battery is 50ah, then 50/20 = 2.5 amps. That battery can sustain from full charge a 2.5 amp draw for 20 hours until it is considered fully discharged. 120ah / 20 hours = 6 amps so 6 amps draw for 20 hours until fully discharged. “slow rate” would be this 20 hour discharge rate as that is what the rating is based on. Yes, it is safe to charge the battery to the topping even each time. The great thing about our chargers is that the current automatically backs off as the voltage gets to the top to prevent excess current from just creating a lot of heat. Even if you can’t always use these for every charge, like a car battery where the alternator keeps it charged up, the 2A12 for example can be put on overnight once a month or so to give it that topping charge and it will greatly extend the life of the battery. Yes, true for deep cycle that go down to 10.5 or so and for starter batteries that can be discharged down to 12.0. Aaron, thanks for your detailed response it was very helpful. Your response prompted another question, you stated at the end that repetitive topping charges are safe/optimal for deep cycle batteries that can be discharged to 10.5V and starter batteries that can be discharged down to 12.0V..Does this mean that in the charge/discharge process of using a Tesla Charger to restore battery capacity to a sulfated automotive (starter) battery that it should not be discharged less than 12V? Hi iQuest, you’re welcome. The battery would actually need to be discharged down to the lowest voltage that it was at to get to the sulfation at that depth into the plates. If a car battery has been discharged down to 10 volts, then you do have to bring it down that far… 9.9 or 9.8 even to get to that sulfation but no on the first discharge. I’d fully charge this battery then do a C20 discharge down to 12v, charge up then discharge to like 11.8v charge up discharge down to 11.6v and so on until you’re down to 9.8 then fully charge up. Once it is charged up from there, it will be in much better shape. Since it was already discharged to that voltage, you’re not really doing any damage that hasn’t already happened. From that point on, don’t discharge it below 12v. If a starter battery is discharged deeper than 10v, then do that same process to the lowest voltage it went to and same for deep cycles. This is the exact method I’ve used with great success. Can take quite a few cycles, but I’ve done over 30+ charge discharge cycles on a single starter battery to bring it back to the best it can be for its own particular condition. What happens is that if the sulfation at those levels isn’t resolved, you create croissant like layers of lead sulfate-lead-leadsulfate-lead, etc… and those remain unless the battery is discharged down deep enough to expose those layers. 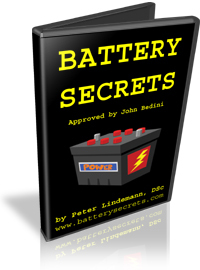 I would highly recommend http://batterysecrets.com – both lectures on Battery Secrets and Battery Rejuvenation to get into deep detail on all these processes by Peter Lindemann. Feel free to post any more questions here though. Aaron, thanks again for another detailed and helpful response. Hello, we ordered and received our 2.5A12 volt battery charger, but the led(s) are not responding (working) is this because of a loose solder connection ?? Can ik open the charger and check it out myself ?? Regards Iwan Maas From The Netherlands. Did you get your question answered by email? If not, please email Jeff at the email in the banner at the top of our website. Hello Aaron, i solved the led problem, i opened the charger and the led was out of its connection socket..
And yes i am a technical engineer, so no problem ! !